Start-up stories can often be traced back to a casual meeting in a café or a college dormitory. In many cases, cloud server hosting solutions are what have made it possible for these business ideas to take shape and become success stories overnight. Businesses that are just starting out are likely to face many problems while focusing on their key goals. Such issues are usually related to management of IT resources, human resources, and accounting. While most start-ups have put their faith in shared hosting plans, they have been seen to outgrow these in a very short time. This is where cloud server hosting has stepped in and has grown into the most preferred choice for start-up businesses. 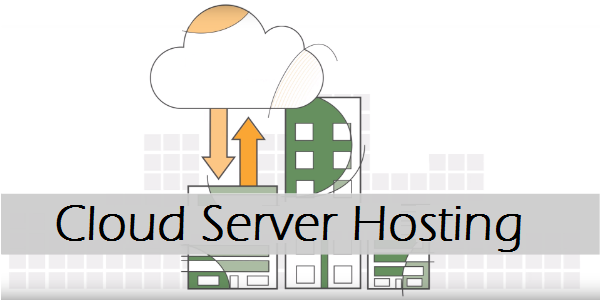 Why should startups invest in cloud server hosting plans? • To start with, cloud hosting is easy to use and whether it is creating, deploying or scaling an application; it can be done in a matter of minutes. So, the main purpose of using cloud computing is to make business operations simple. • With regular traditional web hosting, you will have to pay for a month for hosting solutions, whether you use these or not. But, in cloud hosting, you only have to pay for what you are using. Startups typically face financial crunch and they are always on the search for affordable hosting solutions. This is why they sign up for shared plans in the first place. But, since their capital resources are limited and they need more resources which shared plans cannot offer them, they find cloud server hosting appropriate. Costs of investing in hardware or human resources or developers are always high for startups. You cannot compromise on any aspect, whether it hardware quality or technically-efficient manpower. So, cloud server hosting is the obvious choice. It makes it easy for you to get quality human resources and hardware at the same time. • When you start a website you may get about 100 visitors in a day. But this number is likely to go up in a short period of time and you will be expected to handle as many as 1000 visitors every day. This is a good sign as your site is showing signs of growth and becoming popular; but, at the same time, your visitors may not be satisfied when you do not have enough resources like memory or bandwidth to accommodate such high traffic. With cloud server hosting, scalability is never going to be an issue and you can easily scale up or down your resources, depending on the traffic. • With cloud server hosting, there is something for everyone. So, you can get Software as a Service or SaaS solutions, Platform as a Service or PaaS solutions, and Infrastructure as a Service or IaaS solutions. You get to choose amongst reputed names like Azure or Amazon and with every provider, you can enjoy custom-made solutions. This is exactly why cloud hosting can prove to be a boon for start-ups. • For any kind of business, whether it is an already established corporation or a startup, it is necessary to have a solid infrastructure because you need to be able to give all your attention to the core operations. When you create a start-up you need to focus more on getting it launched in a big way instead of having to worry about routine administrative tasks. Cloud server hosting lets you do exactly that by ensuring that the underlying framework is rock solid and you can work seamlessly. • Collaboration amongst employees or between clients and business owners is always vital. With cloud hosting, you can benefit from a stronger collaboration. You are free to connect from anywhere in the world using any device, as long as you have web connectivity. As a business owner, you even have the freedom to restrict user permissions or organize key projects from one control panel. • Being a web-based solution, cloud server hosting paves the way for faster data recovery. This is very beneficial as it can successfully reduce risks for your start-ups. Even if data gets lost during any natural calamity or accident, you can be certain that data will be restored. Since data is stored in off-site servers, risks or threats from malware, hackers, identity thefts etc are dramatically lessened. When configurations are finalized, it is possible to take snapshots of the deployment. So, in case there is a failure, the snapshot will help to retrieve data to the original configuration. These are some of the key advantages which cloud server hosting can offer to all kinds of businesses, start-ups in particular. So, for businesses that are just starting out, cloud server hosting plans may be more lucrative than other forms of hosting.